Whether you want to make custom bullet points or an alien language, you're all set. 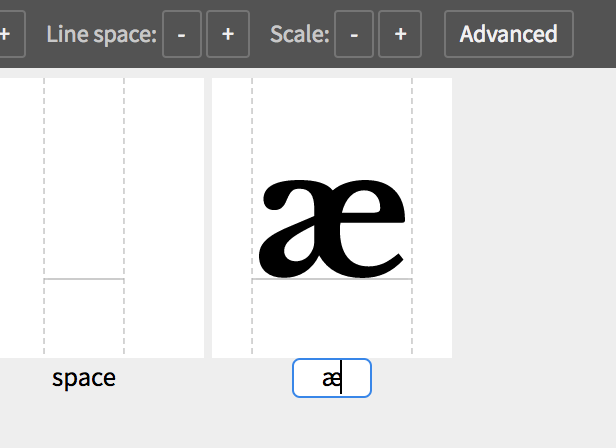 NOTE: while Fontself supports any Unicode character, it is not yet optimized for most non-Latin alphabets or left-to-right scripts (like modern Greek, Arabic, Hebrew, Thai, etc.) We hope to support these scripts in future updates - though it will most certainly take some time before we get there. When you don't know how to type a character that you'd like to create, use a tool like unicodelookup.com, Apple's Character Viewer (which does unfortunately not work from Adobe's apps), Windows' Character Map or any other (like UniCodeChecker) to search for characters by their name. 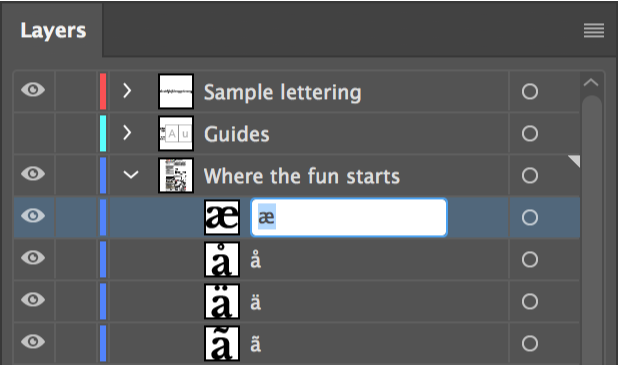 Select your character's object in Illustrator, type (or copy/paste) the character you want in the text field Type any character and press Create Glyph. Align all the shapes you want to import on a single line. Select them all and press the Batch button (or drag & drop them). In Fontself v2.0 you can rely on the Smart Batch feature to automatically assign a character to each object you import. Simply rename each object in the Layers panel with the exact character key you want. Then import them, and boom, you're done! The Space character is the only one of these specific characters that is visible in the glyphs list and it has editable metrics, while all others are hidden and cannot be edited. You can replace the ❝cruel emptiness❞ of the space glyph with your own custom shape by typing a space key or naming the related object U+0020 in your Layers panel. ⚠️ This feature works fine in many apps and browsers but could not run properly in various apps.